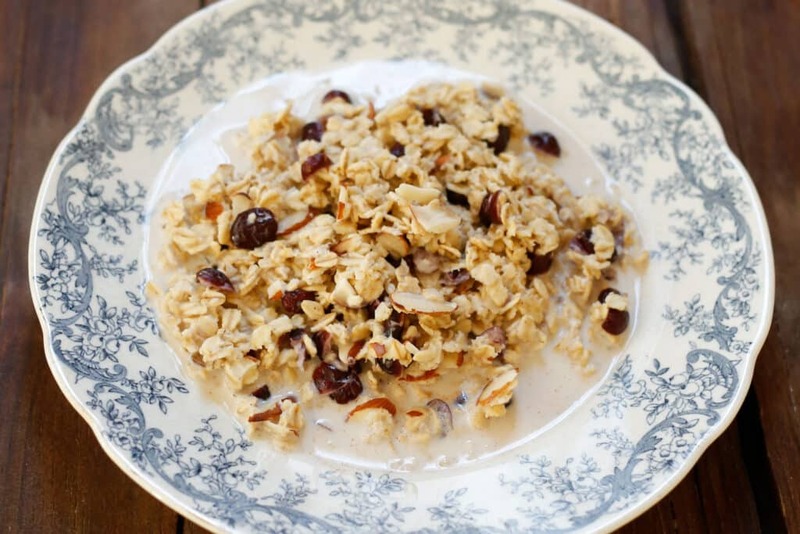 Cranberries, almonds, and oats are cooked in the crock-pot to make this hearty breakfast oatmeal. Topped with a dash of cinnamon and a sprinkling of brown sugar, Slow Cooker Cranberry Almond Oatmeal is a favorite with all of my boys. 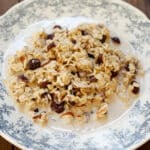 Slow Cooker Oatmeal has been one of my family’s favorite breakfasts for over three years now and my kids request this version more than any other. We truly do love oatmeal, as evidenced by all of the oatmeal recipes here on the blog! Stovetop oatmeal, baked oatmeal, slow-cooker oatmeal; oatmeal is on our breakfast menu multiple times a month. At first glance, crock-pot oatmeal might seem like a long wait for breakfast, but I promise that it isn’t long at all. One hour is all it takes and you’ll have a delicious hot cereal ready to eat. The benefit of not having to watch the stove or do anything in the kitchen right before eating makes this perfect for busy mornings! I typically add the oatmeal ingredients to the Crock-Pot as I start our coffee in the morning. By the time the kids are up and ready for school, the oatmeal is ready to serve. Slow Cooker Oatmeal is not simply oatmeal made in a crock-pot. The texture is different, closer to a warm muesli cereal than a traditional stovetop oatmeal. As the oatmeal slowly cooks, the nuts soften and the dried fruit gives a natural sweetness to the oatmeal. I like to add a spoonful of brown sugar to the crock-pot, but it isn’t required at all. 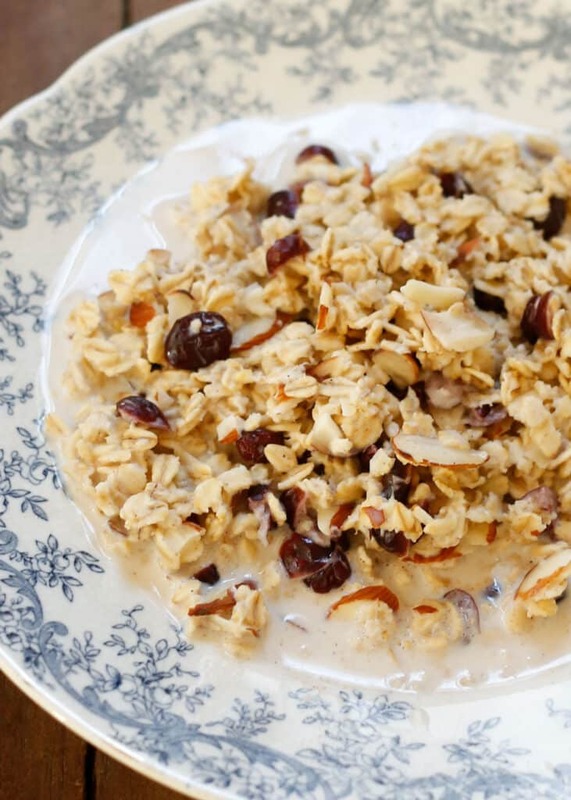 Check out all of our Oatmeal Recipes! Kitchen Tip: I use this slow cooker and these measuring cups to make this recipe. Place all dry ingredients in the crock-pot and stir to combine. Add the milk, stir again, and cover with the lid. Cook on HIGH for 1 hour or on LOW for 1-2 hours, until the oatmeal is your desired consistency. Stir occasionally (maybe twice total) and serve as soon as the oatmeal is done to your liking. It will continue to cook and absorb the milk as long as it remains in the warm crock-pot. Enjoy! Depending on how long you cook it, you can allow the oats to absorb most of the milk, or serve it while there is still enough warm milk left in the crock-pot to drizzle over the top. My personal favorite "doneness" is right about the hour mark. This recipe works perfectly when doubled and it will easily feed 8-10 people. You may just convince me to try it - not always an oatmeal fan - what-up with that? Have a great weekend! I have only made oatmeal in the slow cooker ONCE, and I don't know why? Whenever I make it on the stove, I HATE standing there forever and watching it. Clearly I need some cranberry almond slow cooked goodness in my life! Pinned! You make the prettiest oatmeal...and I love your library of oatmeal recipes, what a resource! I love oatmeal! This will give me energy for whole day :) I love your other recipes too. Could i omit or substitute the brown sugar with honey or something more natural? Sure thing. Feel free to leave out the sugar entirely and then simply sweeten to taste with whichever sweetener you like best. Half the time I skip the sugar and either sprinkle a little on top at the end or drizzle maple syrup or honey on each serving. This is exactly what I'm looking for!! So so happy I found your blog - everything looks amazing. I made your Asian steak tidbits for my boyfriend and myself the other night and we both devoured it because it was so delicious! One question about this recipe though: could I make this big batch and refrigerate the rest to eat throughout the week? Or will it not hold up well? Thanks! Jackie, I make slow cooked steel cut oatmeal every Sunday then me and my husband eat it every morning all week before work. It's fabulous!! I package it in individual serving containers for ease of grab and go. That sounds great - exactly the kind of thing I want to do! Do you think it would also hold up throughout the week using old fashioned oats? I'm just wondering if they'll turn into a mushy mess. Hi Jackie! (Sorry I missed your initial question. 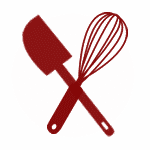 I'm so happy you like the recipes!) I've never made the slow cooked oats ahead of time like that. There are several recipes on the blog for baked oatmeals that I make and reheat during the week. Oatmeal when made with "steel cut" oats works well for reheating though and I just realized I've never posted a slow cooked version here. I wouldn't recommend keeping this recipe in the fridge for a week, the oats will likely be quite mushy at that point. Enjoy receiving your emails. Is there anyway you could include the nutritional information as well. Thank you. Can this be made and stored in fridge and re-warmed in the mornings for a quick breakfast. Disregard my above question. The other questions to you did not load until after I posted my question.